The Zoo Chateau is bursting with exotic creatures, scenic mountain views, and staff that make you feel like part of the family. 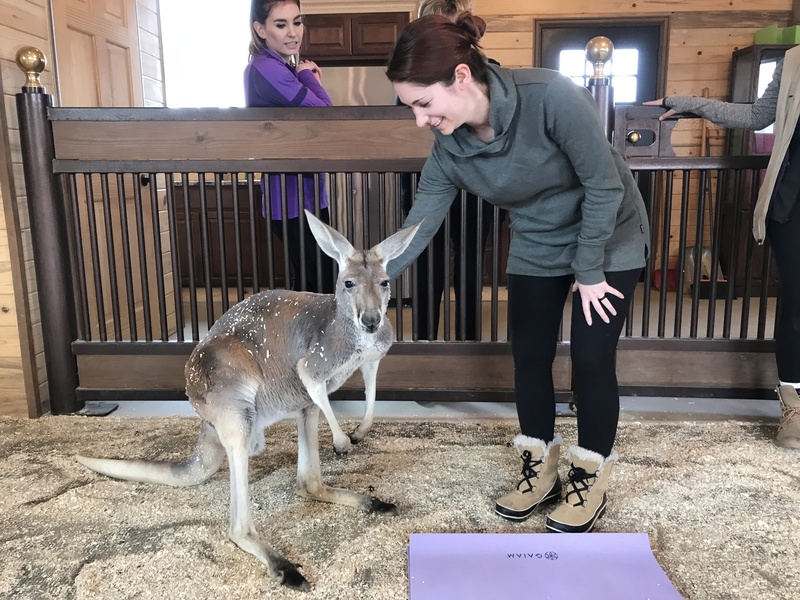 The team here at OCN got the chance to experience their one-of-a-kind kangaroo yoga class. Located just outside the bustling town of Golden, is a hidden gem that every Coloradan should have on their bucket list. When you arrive on the property, you're instantly greeted by Roman, a rescue pup, and the impressive image of various exotic and wild animals. You'll also run into Keaton Crawford, part owner of the Zoo Chateau, and her sister, Kili, who are both incredibly knowledgable and welcoming. 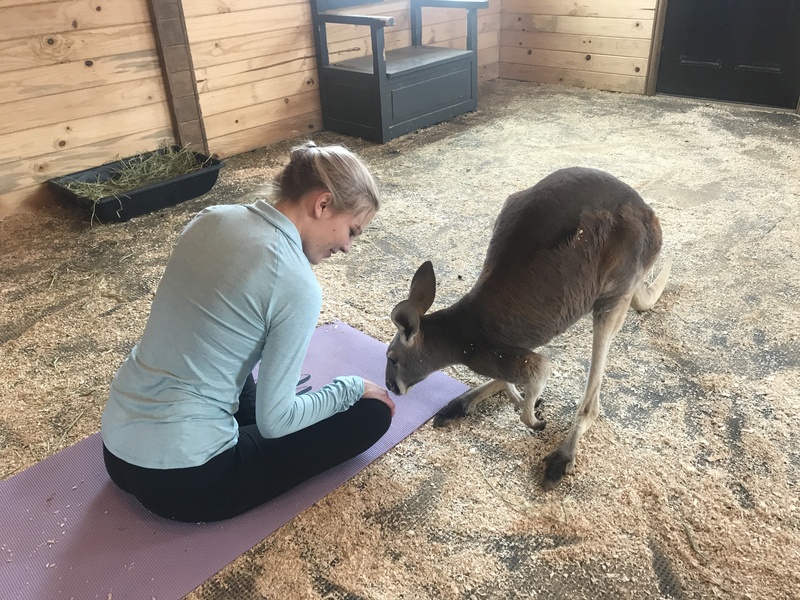 For the yoga class, you'll sign a waiver and head over to the kangaroos' home. The space itself is warm, clean, and cozy. 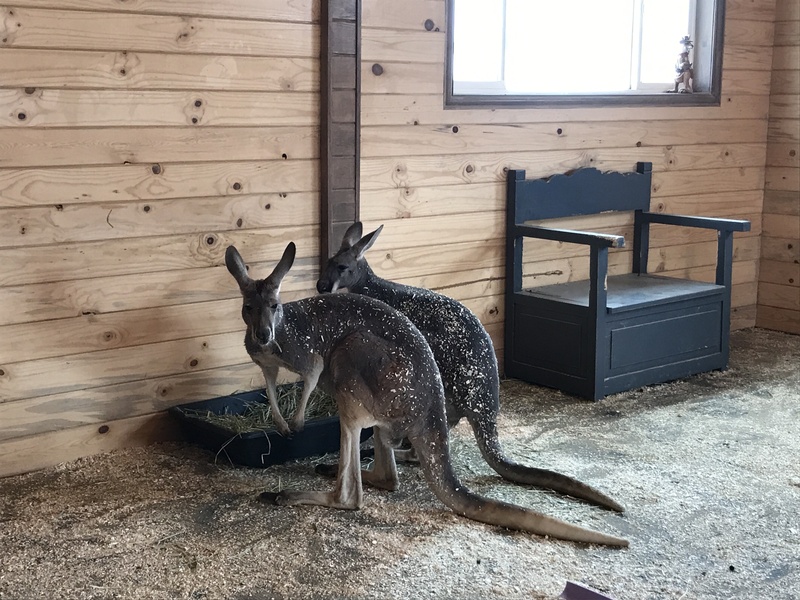 They currently have two red kangaroos, the largest breed of kangaroo in the world. Keaton will fill you in on safety tips for both you and the 'roos, putting you completely at ease. Next, you'll get to hang out and feed them bits of granola to make sure everyone is comfortable with each other before the class begins. The yoga itself is kept at a slower pace so the 'roos feel at ease. As you complete each pose, the kangaroos may come up to see you. And, of course, you can pause to pet their ultra-soft fur! The entire experience is intimate and you truly feel in tune with the animals. Each course is taught by a certified yoga instructor who's had experience with teaching amongst the kangaroos. The intimate class sizes cap off at four people, as to not overwhelm the kangaroos. Each class is an hour in total; the first 30 minutes is dedicated to signing waivers and completing the safety orientation and the second half is the yoga. The cost is $75 per person. They currently offer the class on Sundays and Tuesdays at 12:30 p.m. Private classes with the kangaroos can also be booked for a slightly increased cost. If you're looking for a completely immersive experience, you can stay the night at the property. The home itself is offered on Airbnb and VRBO for $450 per night. Features include four bedrooms, five beds, 3.5 baths, and hosting up to nine guests. You can read more about the Airbnb experience here! The property is home to an assortment of animals. Some are rescued like Dunk, a retired racehorse who had nowhere else to go before the Zoo Chateau took him in. There are also two gorgeous American Cream draft horses that the staff stumbled upon in an abandoned pasture. There are only around 300 left of the breed in the entire world! 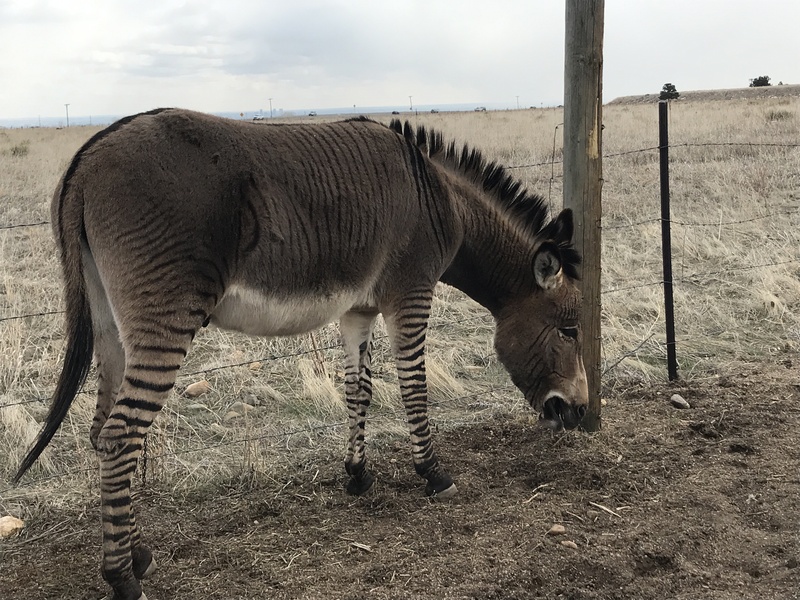 Zayn is one of the zonkeys on the property -- and no, that's not a typo. His dad was a zebra and his mom was a donkey. There's also his best friend, Chewbacca, a Poitou donkey originating from France, one of only 800 in the world. The newest additions to the zoo include three turtles, who will grow to be hundreds of pounds in size and can live for over 100 years. You can arrange private zoo experiences with the animals and learn all about them and the inspirational mission of the Zoo Chateau. A trip to the property will truly be a magical experience. 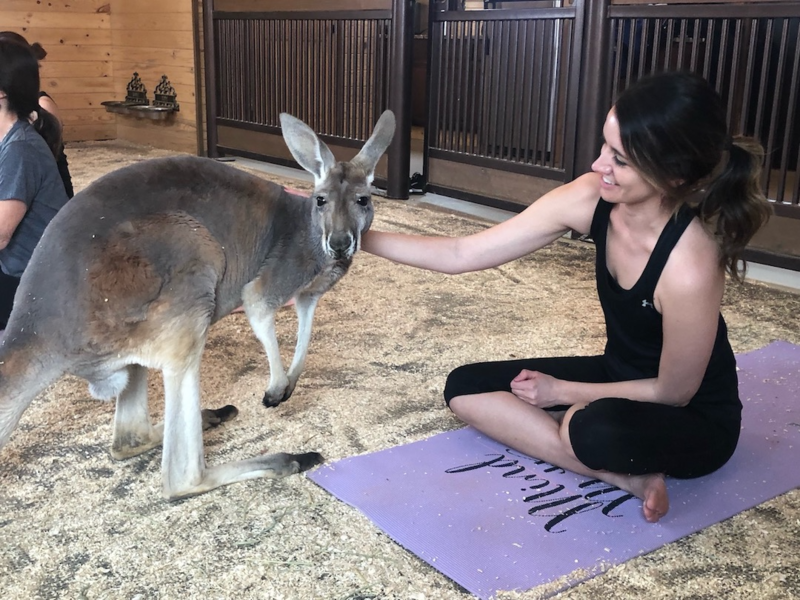 Would you want to give kangaroo yoga a try? How about becoming a zookeeper for the day? Let us know in the comments! The 'Beercat' is here to deliver you beer on the slopes!